How would you like to be part of the best dental blog in the world? Here at Seasons of Smiles, we have so much fun with our blog that we want to reach out and connect with people who are as passionate about beautiful smiles as we are. We get letters on a regular basis from folks who want to write for our blog and now we want to extend an invitation to everyone who likes to let their love of dentistry shine. There are a few guidelines for aspiring bloggers. Your article has to be original. We want your own words, not content from Google. You have to include a photo that shows what the article is about. No stock photos or clip art, please! Your photo, like your article, should be original and unique. You can get a good idea of what kind of pictures we like by looking at our blog posts, where every picture is as heartfelt as the words it illustrates. 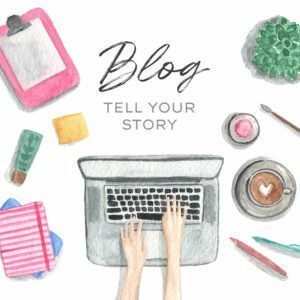 Guest blogging – We would love to hear your story. This is the most important thing to remember when submitting an article for our blog. We don’t want posts bloated with keywords designed to be picked up by search bots. We want articles written by real people to reach real people. Let your dental geekiness shine. Think of the most interesting thing you know about the art of dentistry and write about it in a way you find appealing. Have fun with your article. What we love most at Seasons of Smiles are smiles! Write something that makes you smile, then send us an email with your article pitch. If we like it, you’ll get a link so you can sign into our WordPress website as an author. And don’t worry if you’re not comfortable with that process, because you can just email your article to us and we’ll place it on the blog for you. You will need to register your email with gravatar.com and upload a profile photo. That will enable our website to show your photo with your article. We look forward to hearing from you, and remember to smile for your photo! We can be reached here.